Amazon.com Inc. an online retail giant is on hiring binge to cope well with the online order and its deliveries during the seasonal demand. This online retailer which started as an online book store and now known as the largest electronic commerce retailer. The Online retail Giant is planning to add the workers due to the upcoming holidays which will have seasonal demands from all the Loyal and new customers. This seasonal demand and customers should not be inconvenienced because of tardy deliveries even during the peak time. 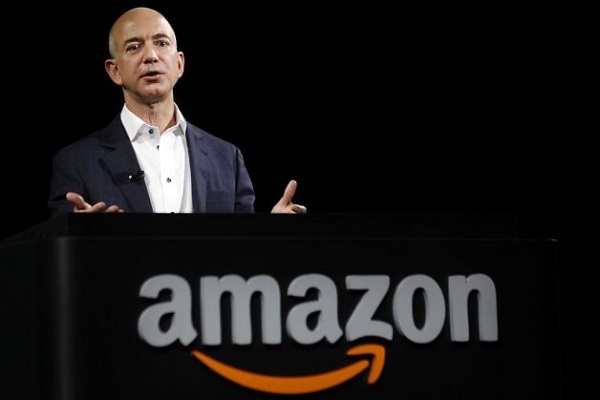 Jeff Bezos incorporated the company (as Cadabra) in July 1994 and the site went online as Amazon.com in 1995. The online retail giant renamed it after the Amazon River, which is world’s largest River. The philosophy and working procedures is inherited form the River Amazon of being Largest in the Industry of Electronic Commerce. The online retail Giant has its separate websites for U.S, Canada, U.K, France, India etc. The largest electronic commerce retailer hires the seasonal employees for the US, which are 70000 in number. The seasonal work and employment is up by 40% than last year. The employment will be done in those branches from where it is predicted to have high seasonal retail demand and people will be more hired for the particular centers to make deliveries of all the ordered product or commodity on time. The online retail giant already has hired 50000 people for seasonal demand and work. Amazon will employ 70000 full timers for the US center to complete the given commitment to the customers on time. This planning of employing the 70000 number will add to their profit and will predict to have an excellent profit during the holiday period. The online retail giant has already converted 7000 jobs as full time from temporary ones this year. This will help the online retailer grow more with their business and will be known for delivering best experience amongst the people. The online retail Giant Amazon.com Inc. now manifolds with the commodities like selling DVDs, VHSs, CDs, video and MP3 downloads/streaming, software, video games, electronics, apparel, furniture, food, toys, and jewelry. The company also produces consumer electronics—notably the Amazon Kindle e-book reader and the Kindle Fire tablet computer—and is a major provider of cloud computing services. For these diversified commodities Amazon, an electronic commerce retailer will have need of 70000 seasonal employees to complete the deliveries with perfection. “My very favorite thing is to sit with a product design team and talk about what we're going to do next," Says the Online retailer Giant’s chief Jeff Bezos. The shares of Amazon.com Inc. are up by 24% from the sales of media, kindle devices, its online super store and web services due to the 70000 seasonal employees.